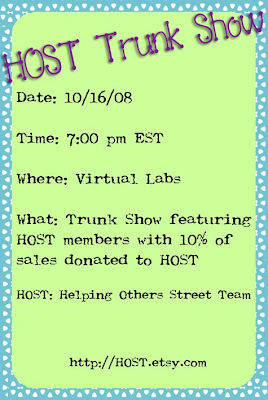 As you know, I am a member of the Etsy Helping Others Street Team - HOST - and I just wanted to let my readers know about the next HOST event (see below). How generous of you to offer such a discount! I love your store! Thanks for entering my giveaway!